The “Emerald Coast” with its magnificent beaches, azure bays, scattered islets and granite cliffs begins around 15 km north of Olbia. The natural beauty of the landscape in combination with the golden beaches and clear waters make this section of coastline one of the most popular tourist destinations in the Mediterranean. In the early 1960s Prince Aga Khan created one of the most exclusive resorts in the world on the Costa Smeralda. Many of the accommodations constructed in traditional Sardinian style are only accessible by sea. Although the region is now also open to mass tourism, it is not hard to escape the crowds. Day trips can be taken to Palau and the Maddalena Islands, which have been turned into a national park. If you take your car along on the ferry (approx. EUR 20) you can explore remote areas and discover the incredible beauty of the archipelago. 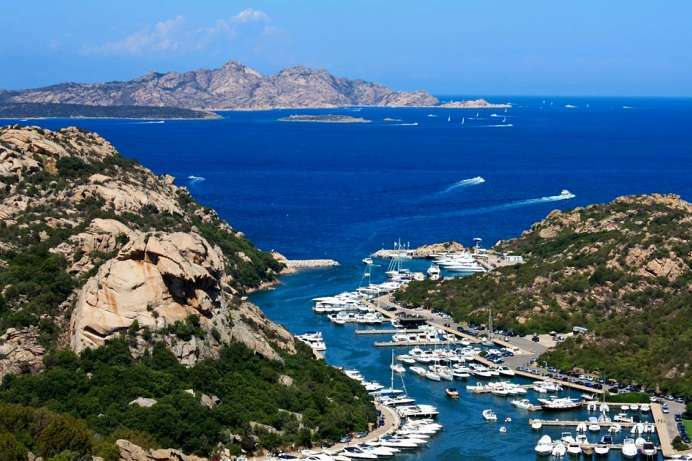 The La Maddalena archipelago is the most famous group of islands in Sardinia's northeast. Their picturesque coves and cliffs, rocks and beaches are protected by a 15,000-hectare national park. The capital, La Maddalena, has a pretty old town and a port. A scenic road makes the island and its coast accessible. The home of Giuseppe Garibaldi is situated on the neighboring island of Caprera. Today it houses museum, which provides information on the Italian national hero and guerrilla. Garibaldi, who fought for national unity in Italy, spent his last years on Caprera, where he died in 1882. 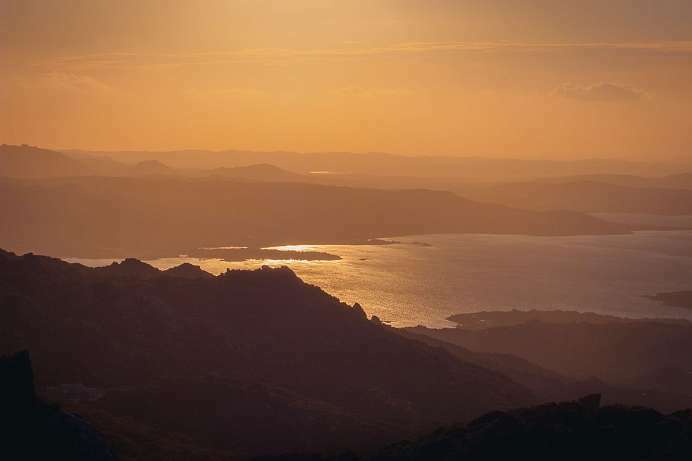 Even though it offers a fantastic view over the entire Costa Smeralda, the Gulf of Arzachena and the Maddalena archipelago, the 422-meter-high mountain in the hinterland of Costa Smeralda is relatively unknown. 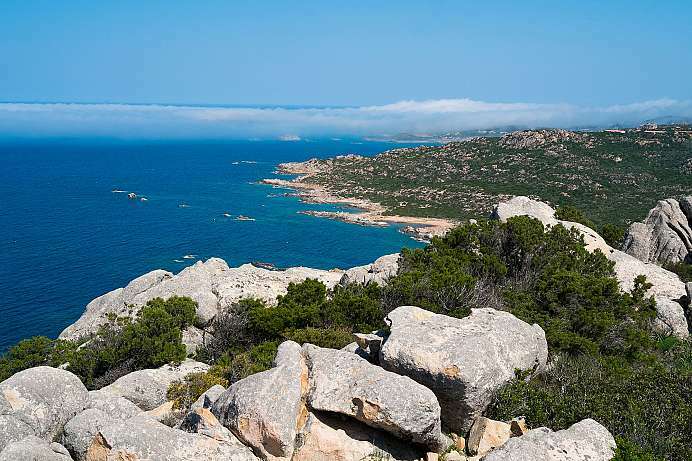 The rounded granite rocks of the Gallura stand out from the green of the vegetation and trees and make a wonderful color contrast to the deep blue sea and the white islands. An access road branches off from the main street SP59. Further along it turns into a dirt track that winds its way to the summit but is reasonably easy to navigate. 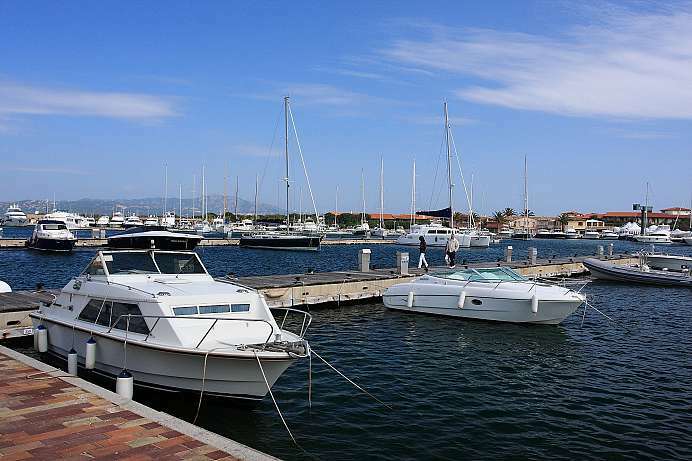 The southernmost resort on the Costa Smeralda is built around a modern marina. At the center is a small piazza where the hustle and bustle of life abounds. If one continues to the tip of the headland one arrives at the Punta di Volpe, where one can enjoy a panoramic view of the sea and the Golfo di Marinella. The golden sandy swimming beach is ideal for families and for diving.